Space is Space. Design is Design. We have the Eyes. We have the Team & Experience. We can take your project to the Next Level. Big or Small. We understand the overwhelming feeling of re-constucting your home or business and that's why we want to help you. We'll begin with an initial consultation where we'll discuss your design and functionality goals, budget and timeline. We take our time to understand your unique aspects and workflow to design a home or business that works for you. Whether you're looking to open up your space by tearing down walls, adding structure or finally getting that extra bathroom built, then our design-build team can help. We will help you plan out your space so that it works for you and add value to your property in so many ways! It's all in the details... and we've got those covered too. From custom furniture, original artwork, stunning rugs, light fixtures, decorative accessories that POP, and every thing else in between. We love putting the perfect finishing touches into a room because we know that's what really makes it shine! We believe that good design and high-functionaning environments are necessary components of a happy life and thriving business. We provide design solutions that not only feel good and fit your unique taste but are also functional while harmoniously in tandem with your lifestyle or business. Delivering your project, to cost and to the highest quality in an efficient manner and with minimal stress to your day-to-day life is a tall order. Between concept and completion there is a lot of activity taking place that needs to be efficiently managed so that you are left with a simply stunning space! 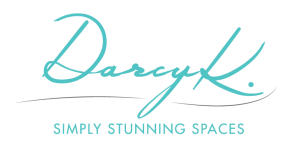 DarcyK's team at Simply Stunning Spaces will help take your project from concept to completion with ease. Looking to make some changes to your home but working on a budget? Do you Iike our style but don't live in San Diego? Well we've created a solution to solve those very specific demands. Click here to schedule your virtual design consultation. Our design services include- *but are not limited to- the above list.